Water for South Sudan (WFSS) is pleased to announce that the 2019 season is off to a great start. The rehab team, formed in 2017, got an early start in October, and as of Jan. 24 had rehabbed 31 older wells. Many of the older wells experience erosion on the cement platforms around the wells, and the cement drainage channels that lead to animal drinking troughs. WFSS’s improved process and design will keep these wells functional for years to come. The drilling team started in January and has drilled five new wells as of Jan. 24. They are working in Tonj State in remote areas with limited access to gravel, and local water for drilling. Separate hygiene education teams travel with both the drilling and rehab teams, delivering an improved curriculum on hygiene. WFSS completed its capital campaign in 2017, with a major portion of the $1.2 million raised earmarked for a new drilling rig. Thanks to our working with PAT Rigs in Thailand, WFSS was able to purchase two rigs, the first of which arrived at our compound in Wau in January. The 431T is a trailered rig which will be used as a back-up rig, for training, and as a complement to our larger rigs. US Operations Support Coordinator Gary Prok, Lion and two team members traveled to Thailand in the fall to get hands-on training with the new rig, further cementing our relationship with the drilling rig manufacturer. WFSS keeps a close eye on developments in South Sudan, and our team on the ground serves an important role in keeping all informed. News out of South Sudan has been cautiously optimistic in recent months, with a general sense that the peace agreement signed in September, 2018, is holding. News of note includes reports that South Sudan oil fields are once again producing oil. wau residents participate in activities marking world toilet day. 64% of people in the world live without toilets. In 2013, the United Nation’s Assembly declared November 19th as World Toilet Day to bring awareness to the importance of having a toilet. Today 4.5 billion people live without sanitation facilities in their households – more people in the world have cell phones than toilets. Sanitation is a public health issue. According to the charity Wherever the Need, poor sanitation kills more people than HIV and AIDS, malaria, and measles combined. Poor sanitation leads to diarrhea. In 2015 there were 508,9541 known deaths across the globe from diarrhea of children under five. South Sudan ranks number 34 worldwide in deaths of children under five from diarrhea, with 3,243 in 2015. Sanitation is the single most cost-effective public health intervention to reduce child mortality2. Sanitation also contributes to social injustice and poverty. When schools do not have sanitation facilities children, especially girls, often stay out of school-- either from illness, or in the case of girls, menstruation. There is a 15 percent increase in girls’ attendance rate once a toilet is introduced in a school.3 Women can’t work when they are forced to walk for water. Farmers and wage earners are less productive when they are not healthy due to poor sanitation. The World Health Organization states that there is $9 in economic benefit for every $1 spent on sanitation. 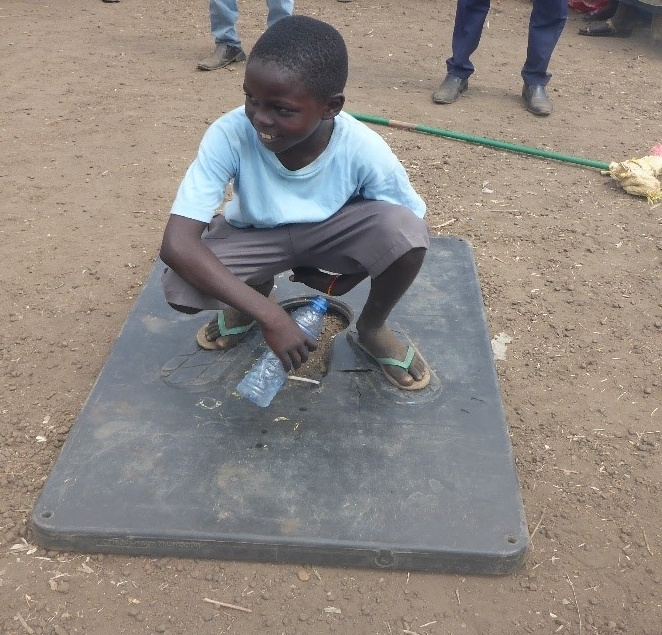 teaching children about sanitation practices in wau. teaching children can help lead to greater behavior change in developing countries. WFSS joined the world in celebrating World Toilet Day on November 19th. WFSS Compound Manager Abraham Majur Laam participated in a live radio talk show sponsored by WFSS. The panel also included the Directorate of Public Utilities and a representative from OXFAM GB. The show was interactive with listeners asking questions and sharing concerns about sanitation. Topics ranged from the construction of pit latrines to washing hands after toilet use to sustainability of facilities. Other WFSS staff members helped to educate internally displaced persons at the Hai Masna camp in Wau. In addition to WFSS, there were delegates from Christians for Action, Relief, and Development; OXFAM GB; South Sudan Relief and Rehabilitation Commission; Directorate of Public Utilities; and Norwegian Refugee Council. Educational dramas were used to demonstrate how to build a pit latrine using locally available materials and how to use a latrine. Songs carrying messages about hygiene and sanitation were sung and soaps were distributed. To date, WFSS has drilled 304 wells in remote villages in South Sudan. Since 2014, WFSS has provided hygiene training to 1,584 people in 198 villages, who then train the rest of their communities in best hygiene practices, impacting over 100,000 people to date. WFSS is currently exploring an opportunity to build latrines in a school in South Sudan. The WFSS team with the first new well of the 2017 season. The months of planning and preparation are finally behind us and the 2017 season has officially begun. The drilling team has begun drilling wells; the rehab team has begun rehabilitating some of our oldest wells; and our two hygiene education teams are working alongside them both, helping to improve hygiene practices. The drilling team plans to drill up to 40 new wells. They have begun in Waubaai County, in the new Wau State and will also drill in Kuac North County, in the new Gogrial State, to deliver on their promise to the county commissioner and village chiefs last season, when we did not have enough time to drill wells there. This year's drilling will focus on schools and new county and payam headquarters. Our new rehab team will work on repairing some of our oldest wells, drilled as far back as 2005, in Alabek County, in the new Tonj State. As we have done since 2014, the WFSS Hygiene Education Team will travel alongside the drilling team. New this year is a second hygiene education team, to travel with the rehab team. In every village our hygiene teams train eight people (four men and four women). Our hygiene educators work as facilitators, and invite community participation to help groups identify issues of importance, and problems to work on; identify possible solutions; select appropriate options; develop an implementation plan; and, evaluate the outcome of the plan. Three main areas of education often focus on hand-washing, keeping clean water clean, and safe disposal of stools. Since 2014 the WFSS Hygiene Team has brought hygiene education training to over 100 villages, training over 800 villagers who are then equipped to train others in their villages, which then continues to expand the impact of clean water. The ever-challenging climate in which we operate, including a lack of basic infrastructure, and logistics challenges, require creative thinking and dedication, which are supplied by our team in South Sudan, and our Operations support in the US. New this year is our Leadership Council in South Sudan, led by Country Director Ater Akol Thiep and Assistant Country Director AJ Agok. We created the council, made up of our six managers in South Sudan, to help oversee operations on the ground. Operations are still overseen by US Director of Operations Don Fairman, but we are moving towards even greater local control in South Sudan. Our team in South Sudan knows the people, language, customs, and land in which they operate, and often know best how to address the many issues that arise. As WFSS continues our work in bringing access to clean water and hygiene education, we are also researching ways to bring access to sanitation (toilets and latrines) to those we serve. In 2017, we will continue gathering information on how we might best expand into this area, possibly collaborating with others. In other good news, we have already been able to purchase two trucks and a crew vehicle with funds raised from our Watering the Seeds of Change capital campaign. Next up is the process to begin ordering our new drilling rig. Thanks to our supporters across the US, and around the world, WFSS is able to continue our work, transforming lives in South Sudan. We look forward to bringing access to clean water and hygiene education to even more people this year. WFSS has now drilled 283 wells since 2005, and we look forward to reaching our next milestone of 300 wells. Celebrated annually on October 15 since 2008, Global Handwashing Day was founded by the Global Public-Private Partnership for Handwashing, and is an opportunity to design, test, and replicate creative ways to encourage people to wash their hands with soap at critical times. In South Sudan, Global Hand-Washing Day was celebrated at Muktah Primary School, near WFSS’s Operations Center in Wau. T-shirts and caps designed by UNICEF in partnership with the government were distributed. The celebration was opened with words of prayers from the Bible and Quran, presented by Christian and Muslim students. other distinguished guesses were also invited. Other invited guesses included students and teachers from 10 different schools who presented drama and songs related to promotion of hygiene in South Sudan. The main event of the celebration a hand-washing demonstration. Representatives from NGOs WASH Cluster and Government delivered speeches, and gifts of soap were given to all the participating schools. Villagers in bookanyara village receive hygiene education from wfss. Water for South Sudan (WFSS) continues to deliver on its mission to transform lives in South Sudan by bringing access to fresh water and hygiene education. Our team was able to drill 23 new wells in the 2015-16 season, and is hard at work planning for the upcoming 2016-17 season with goals of drilling up to 40 new wells, rehabilitating 20 older wells, and bringing hygiene education to all villages in which we drill. Check out our latest progress report on GlobalGiving! WFSS Team & United Peace & Development Project Provide 23 New Wells in 2016. 282 Wells Drilled Since 2005. WFSS IS SUPPORTED BY DONORS IN ALL 50 US STATES, AND 32 OTHER COUNTRIES. WFSS is pleased to announce the conclusion of another successful season. We continue to make progress in every way-- improving design and delivery of services, developing our employees both in the US and South Sudan, which all leads to greater sustainability for the organization, and the work that we do, and enables us to better serve the people of South Sudan. The WFSS team was able to drill 20 new wells, and our United Peace and Development Project with Aqua-Africa added an additional three wells for a season total of 23 new wells. Since 2005, WFSS has provided 282 wells in remote villages in South Sudan. As our number of wells drilled, and people served, grows, so do the supporters around the world who enable our work. With the recent addition of Cambodia, we are pleased to announce that 32 countries, in addition to the US, support WFSS. As our South Sudan and US operations teams work to always improve our processes, they also strive to make better use of time and resources. When the start of this year's season was delayed, the drilling team used the extra time to repair 20 wells drilled by other organizations near our compound in Wau. We thank our South Sudan management team, Salva Dut, Executive Director for East African Operations, Ater Akol Thiep and Ajang Abrahm Agok, our Field Operations Managers, Abraham Majur Laam, our Operations Center Manager, and Mathew Akuar, our Hygiene Team Manager, for all they do to support our mission. Since 2014, the WFSS hygiene team has traveled with the drilling team to help villagers improve hygiene practices in every village in which we drill. The hygiene team trains a team of eight people (four men and four women) who can then train others. The WFSS team works with the trainers to identify areas in need of improvement in their village. Improved hygiene helps expand the impact of clean water, and leads to better health for all. In Gaikou village, Achan Aguei told the team that villagers were suffering for a long time from drinking stagnant water, sometimes the same water where people might bathe and clean their clothes and utensils. "We were not aware that you can wash the inside of jerry cans with ash, gravel and soap," she said. Gau Majok, also of Gaikou village, noted that his community did not know that contaminated water made them sick. "After Water for South Sudan, drilled a well for us and trained us about water and hygiene management, we realized that we were drinking water with germs and we had bad hygiene at our homes before and from now on we will call a meeting to tell everybody about water and new hygiene promoting ways, as taught by Water for South Sudan hygiene team, which is the first time for us to receive well/borehole and new hygiene promotion training. I appreciate Water for South Sudan, administration and management where ever you are, thank you so much for help." Achan noted how much life can improve with hygiene training. "Now when we compare our life before, with simple things that Water for South Sudan has shown us with two days training, it helps me now to know what is good and bad. Thanks to Water for South Sudan. I hope Water for South Sudan will help other people in South Sudan like us also." The United Peace & Development Project (UPDP) began in 2014, with Water for South Sudan and Omaha, Nebraska based Aqua-Africa (A-A) coming together to drill water wells in South Sudan. The leaders of the two organizations, Salva Dut (WFSS) and Buey Ray Tut (A-A) saw the value of working together as South Sudanese to help their new country develop, despite being from the two major tribes, Dinka and Nuer, who have historically been in conflict. Since December 2013, the unrest and power struggles in the country have centered on issues between leaders from the two tribes. The UPDP continued through 2016, with three new wells being drilled, for a total of 12 wells drilled overall, in various parts of the country, in different tribal areas. One of the 2016 wells was drilled in Langabu, in Central Equatoria State, where Limoba Jory, a widowed mother of two, cultivates and sells charcoal for a living. When asked about the challenges of water, she pointed to a six foot hole surrounded by thirsty bees. She explained how she must leave her children home alone even though there is a threat of child kidnappers. “I wait in queue before the sun rises and when it’s my turn, I have to dig until I find water,” she said. After the completion of the drilling, the UPDP team returned to follow-up and asked how the conflict in South Sudan has affected people. Mrs. Jory explained that the conflict has not impacted their day to day living as they are removed from conflict areas. But she noted the value of getting clean water, and the impact of those providing it. WFSS and A-A will continue working on the UPDP, bringing access to fresh water, along with peace and development, in the newest country in the world. After seeing the success of our hygiene education program, Water for South Sudan plans to launch a pilot sanitation program next year. Sanitation is defined as “the provision of facilities and services for the safe disposal of human urine and feces." Sanitation differs from hygiene in that it provides the means for people to be hygienic. Hygiene is the ability to participate in “conditions and practices that help to maintain health and prevent the spread of disease." The WFSS Hygiene Program has helped South Sudanese villagers learn the importance of maintaining good hygiene by changing behaviors such as hand-washing. Our hygiene team helps villages identify hygiene practices in need of improvement, and helps create a plan to move forward. We have seen how improved hygiene practices can help extend the impact of clean water. Now, it is time for WFSS to take the next step and develop sanitation programs for the people we serve. Sanitation is important for all, helping to maintain health and increase life-spans. However, it is especially important for children. Around the world, over 800 children under age five die every day from preventable diarrhea-related diseases caused by lack of access to water, sanitation and hygiene. In addition, diarrhea causes children to lose their appetites, which can lead to malnourishment. Limited access to sanitation has become such a worldwide problem that 1 in every 4 children suffer from stunted growth. This leads to “irreversible physical and cognitive damage." Developing a sanitation program in South Sudan is the logical next step for WFSS and will enable us to fully move into the WASH (water, sanitation and hygiene) sector, and will help build better health for those we serve. Our plans for 2017 include a pilot sanitation project, most likely at a school. Improved sanitation can help maintain school attendance through latrine facilities like this one pictured below. This facility was constructed by UNICEF in Lohanosy, Madagascar, outside of the Lohanosy Primary School. Sanitation is a vital piece of health and development around the world. The WFSS sanitation program will help address access to health and education in the world’s newest country. Please join us in helping to bring access to clean water, hygiene and sanitation. 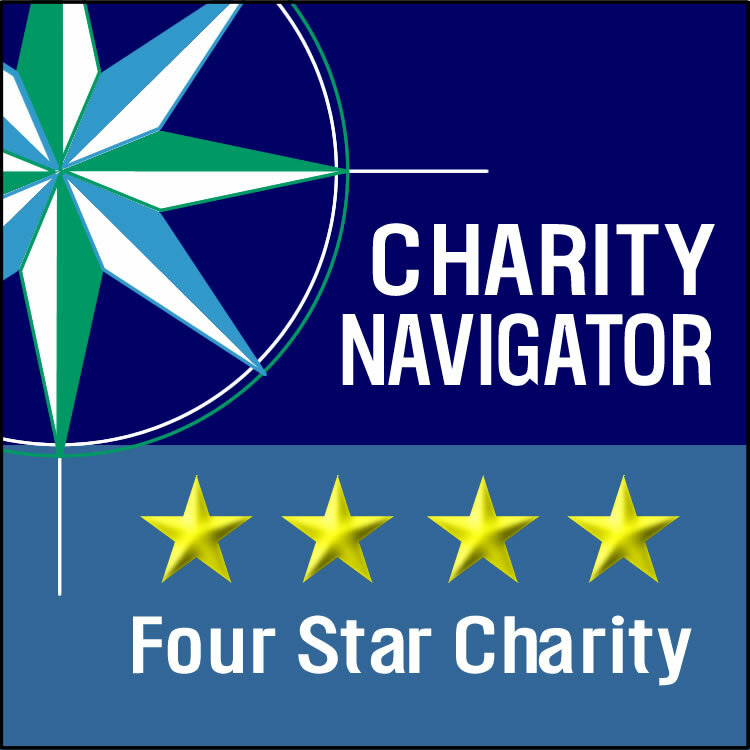 To donate, please visit our donate page. 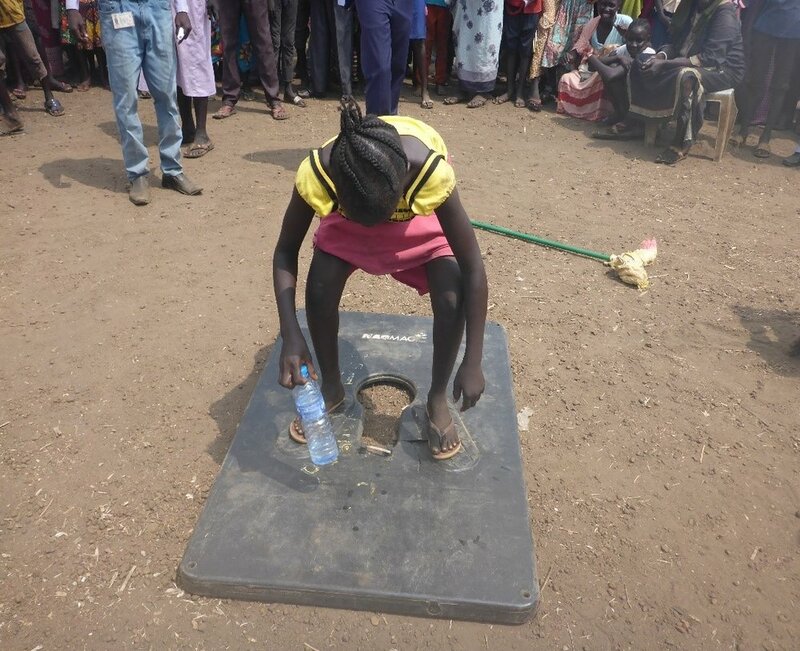 Water for South Sudan (WFSS) started its Hygiene Education program in January 2014. This program was developed to help villagers who receive a WFSS well get the most out of having access to clean water. The WFSS Hygiene Education Team teaches villagers about bacteria and disease and describes how bad hygiene practices, including open defecation and not washing hands with clean water, spreads diseases such as diarrhea. Diarrhea is responsible for four percent of the world’s deaths and causes about 801,000 annual deaths of children under the age of five, or 2,200 deaths each day. WFSS, through our hygiene education program, plays a vital role in teaching good hygiene practices. With access to clean water, villagers can utilize hand-washing to prevent the spread of diarrheal diseases. The WFSS Hygiene Education program uses the Participatory Hygiene Transformation Method (PHAST). PHAST empowers villagers to come together to identify poor hygiene practices and create practical solutions to correct them. The WFSS Hygiene Education Team does not take on full leadership, but rather facilitates discussion regarding hygiene problems and their solutions. PHAST implements seven steps to achieve this: problem identification, problem analysis, planning for solutions, selecting options, planning for new facilities and behavior change, planning for monitoring and evaluation, and participatory evaluation. By using different methods of hygiene education/practice evaluation while following these steps (such as community stories, community mapping, pile sorting, and constructing F-diagrams of diarrheal transmission routes), WFSS enables those using our clean-water wells to improve and sustain the quality of their lives. In each village where we drill a well, our hygiene program teaches eight people (four men and four women) the best hygiene practices and trains them to then teach their fellow villagers, thus extending the impact of clean water even further. To learn more about how you can help WFSS improve health in South Sudanese villages, please visit our Take Action page.